Download VidMix app for android. 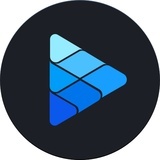 VidMix is new app that lets you download movies and videos from YouTube. They can be saved on your phone for offline use without the need of internet connection. It is powerful YouTube downloader with more than 100,000 tv shows and 200,000 movies available. It packs all the YouTube features inside and emerges as very good downloader app. It has support for more sites like Facebook, Instagram, hotstar, voot, vk and even xHmaster for adult videos. New ones are added every week. It is a great 8k downloader tool for videos. Download 8K videos because it is better to see things clearer. Any of the downloaded 8K videos can be streamed and played on Ultra HD devices. Don't miss any title and know what’s trending. VidMix helps you to stay in touch with the trend and discover new music, videos and artists. VidMix uses multiple network connections to achieve ultra fast download speed. Amazing feature is to set the number of connections according to your network quality in order to gain maximum speed. As a free music downloader it lets you download or stream music from youtube, soundcloud, vk for absolutely free. Audio files can be downloaded in mp3 and m4a formats. You have the option to convert any YouTube video to mp3. This eliminates the need to download audio file since the video file is already on your phone. Convert your video to mp3 within seconds with just a tap. The app has an inbuilt video converter for converting video to mp3. Another cool feature is the Smart clipboard detection. Just copy a link of any video, music or media file and the VidMix detects the link and shows a popup to download. The app features very beautiful interface with basic information about each video or movie. Overall it is amazing app to get video or audio files on your phone. What is VidMix? You can browse media content about VidMix on Pinterest, where great images are added every day. Watch how to install and use VidMix videos on YouTube. You can also look for VidMix app on Amazon Appstore.